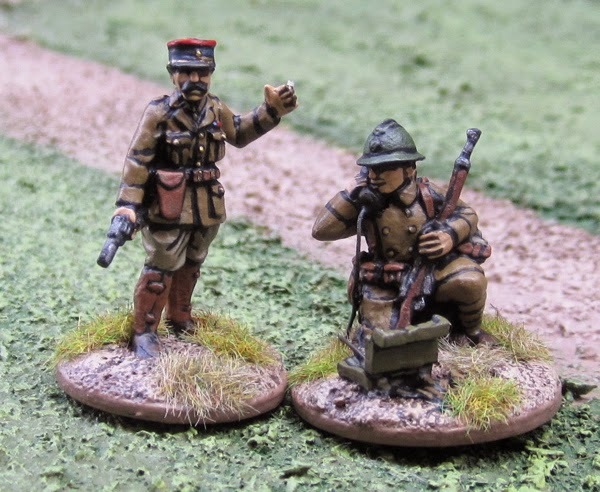 I hope everyone over in Blighty (who has been able to make it) has been enjoying Salute this weekend – I’m looking forward to all the pretty pictures that I’m sure will be all over the blogosphere in the coming week! 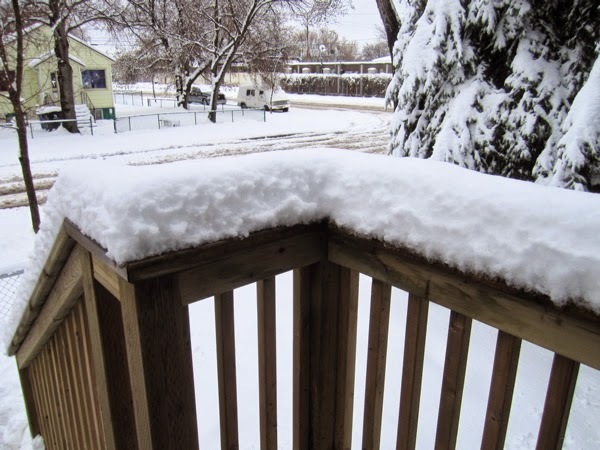 I think Mother Nature’s been at the sauce again. 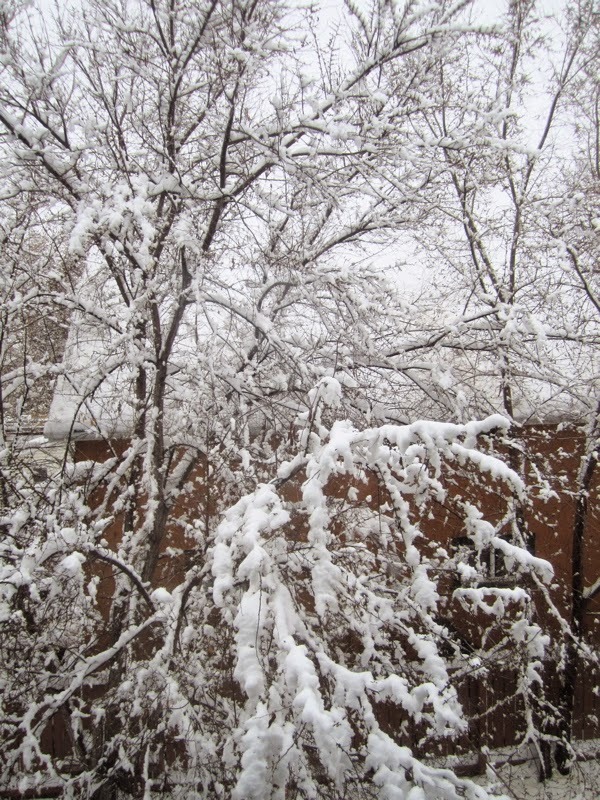 You're drunk Mother Nature! Go home! 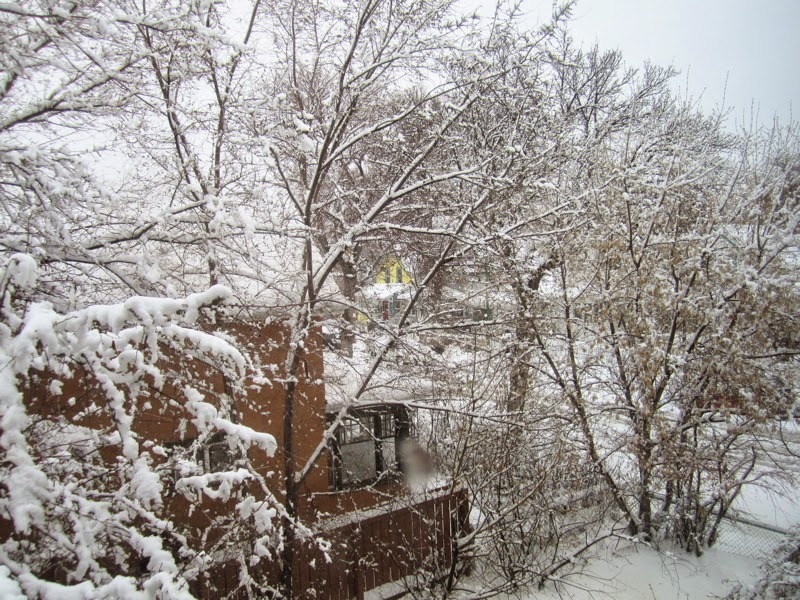 And I just took the winter tires off all our bikes... not that we're going anywhere in this mess! 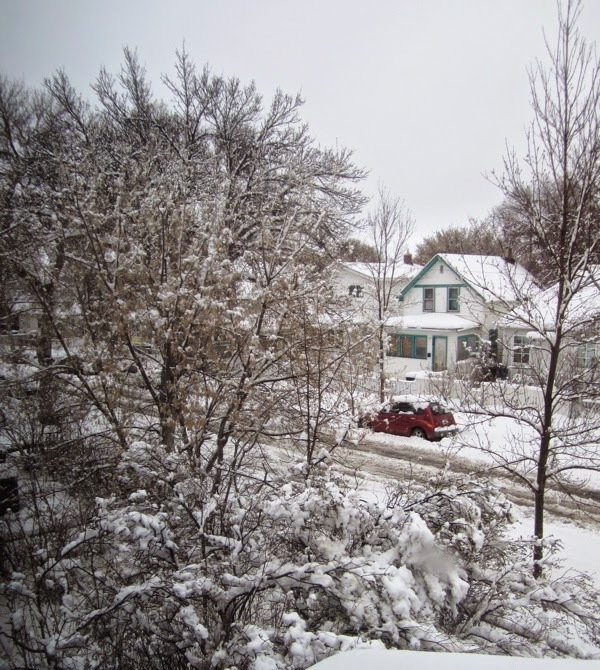 By Tuesday it's supposed to be +20°C!? 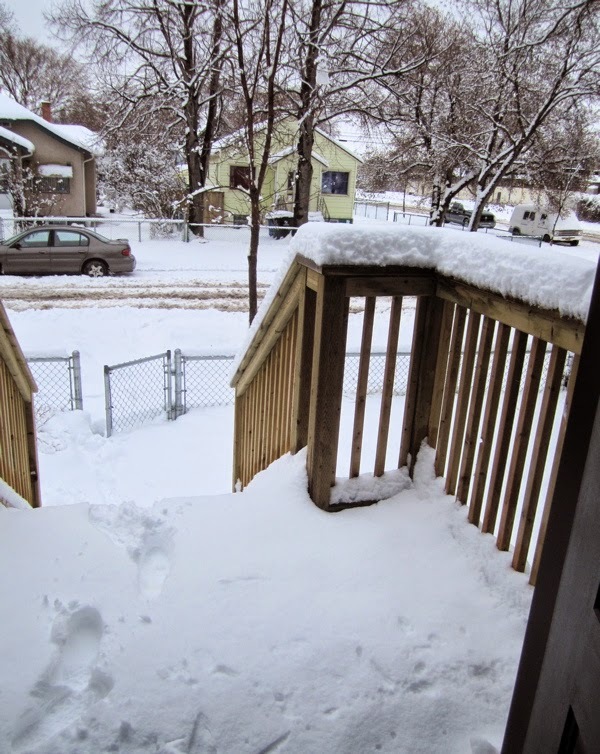 Welcome to Saskatchewan weather. 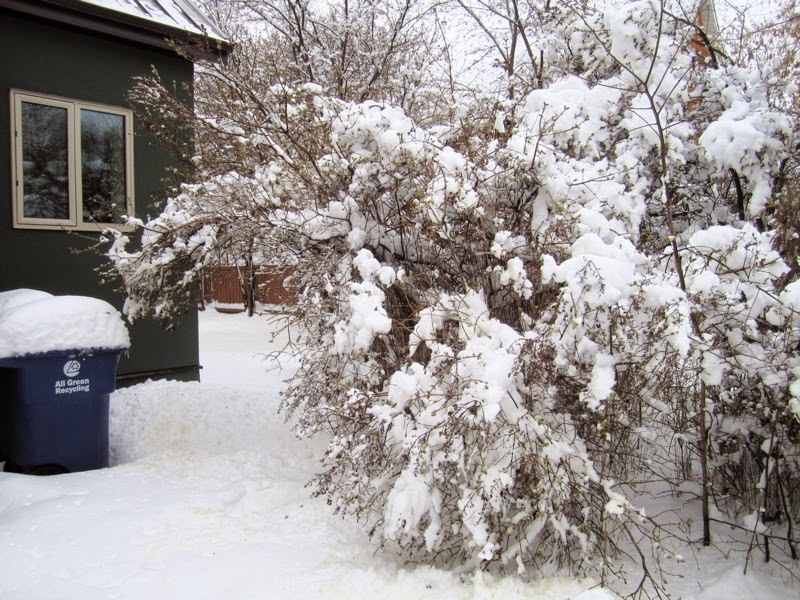 But that hasn’t stopped me from taking pictures and updating my blog!! 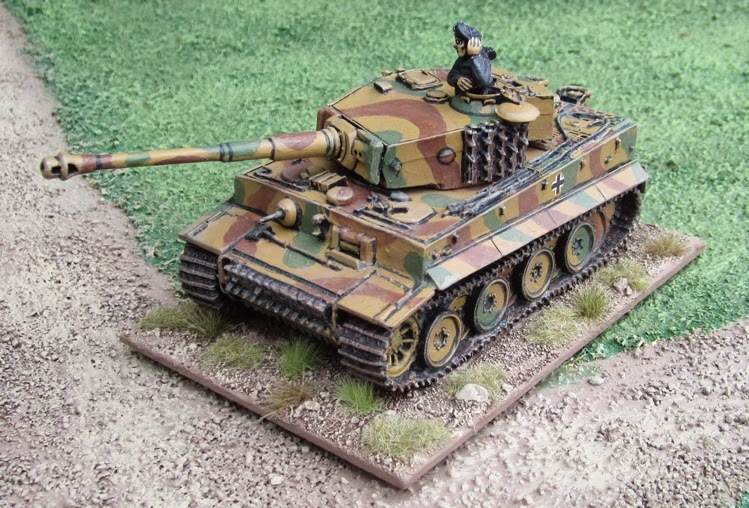 I finished up this Pzkw VI (Tiger I) from West Wind Productions’ Berlin or Bust line last night. 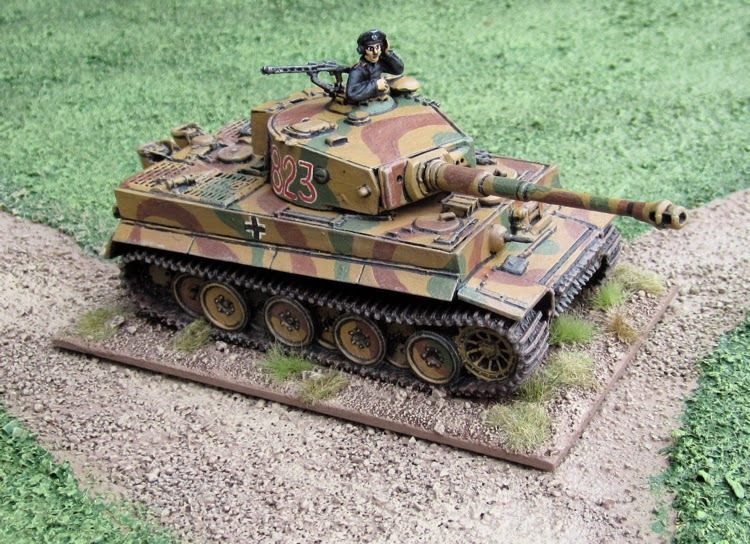 I picked up this kit a few years back – at the same time I bought the Sherman Troop and the T-34 Platoon. West Wind was having some big sale and the Canadian dollar was doing well (or the Pound Sterling doing poorly… depending on who you ask, I suppose) and I seem to recall they worked out to about $20 per tank!? While some of the figures are genuinely marketed as “SS” figures, others are just Germans I’ve painted up in pes-dot cam to pass off as SS. 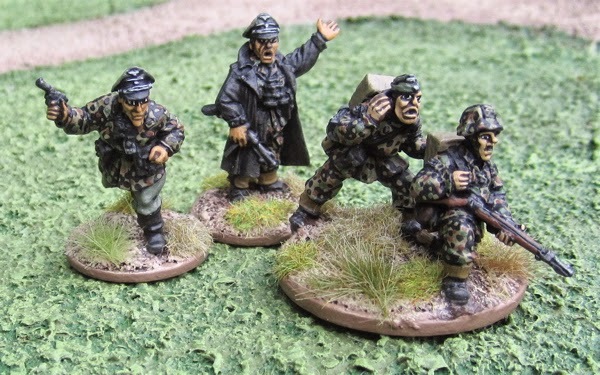 SS with Panzerfausts – I’m not entirely sure of the make of these – I think I picked them up off of ebay and they were listed as “Battle Honors” but they seem a bit chunkier than other battle honours figures I have…? 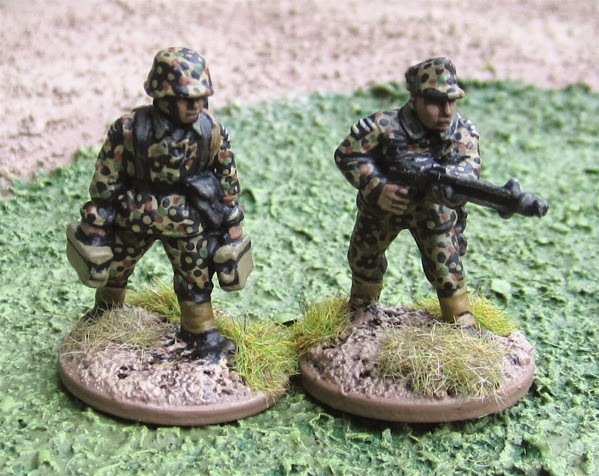 Panzershrek teams – came with the batch with the panzerfausts above. 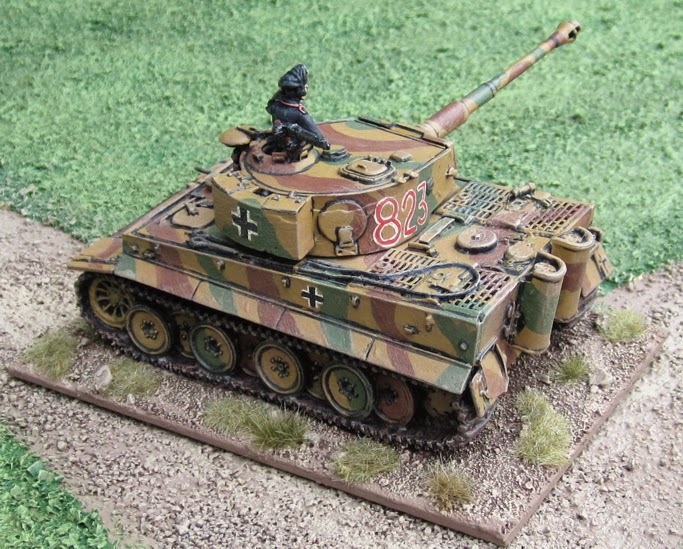 Perhaps a few more SS… though I’ve also been working on a Tiger tank and been eyeing up both Fallshirmjägers and 40 Imperial Guard… so… who knows!? 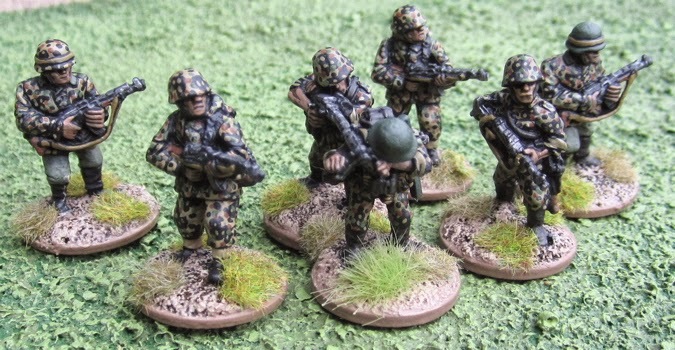 Below is a small force of French Infantry I’ve organized for Bolt Action. 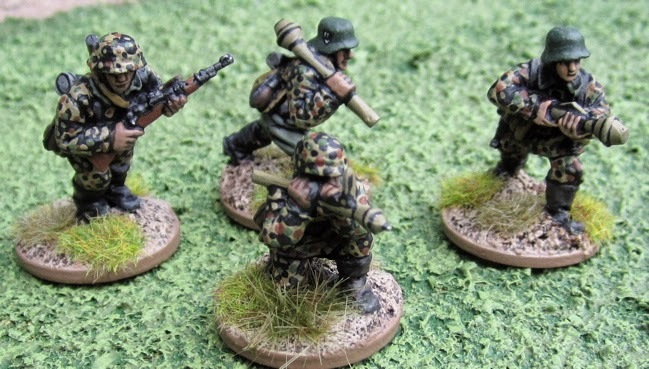 All the figures are from Bolt Action/ Warlord Games. 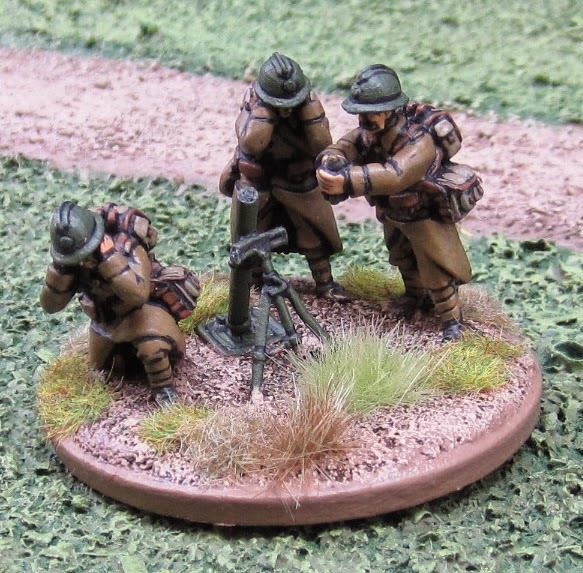 Light Howitzer Team – 0 points! If I were to add anything to the force it might be an Renault R35 tank (which I probably will in the not-too-distant future)… I’d go for the R35 as the majority of the Bataillion de Chars de Combat (armoured battalions that provided support to Infantry Divisions) seem to have been equipped with the R35 (I’m all about versatility). 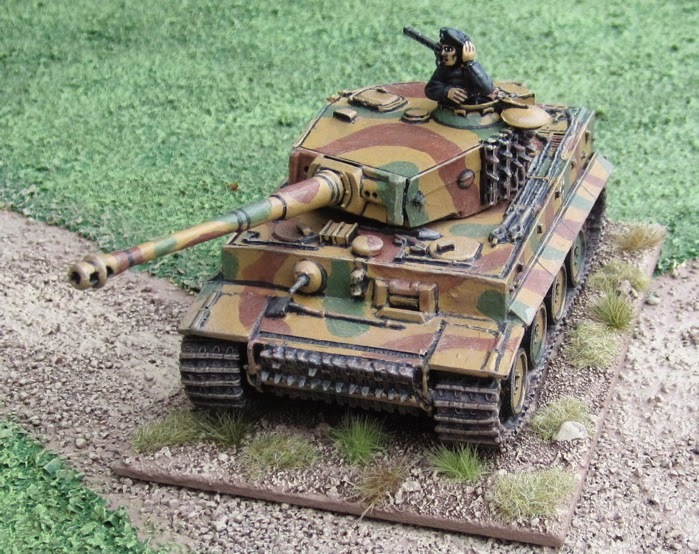 Additionally I could add an AT gun - probably the 25mm M37 (as I imagine they could be facing some blitzkrieging light panzers) - or possibly some French Cavalry from Crusader Miniatures just for fun. 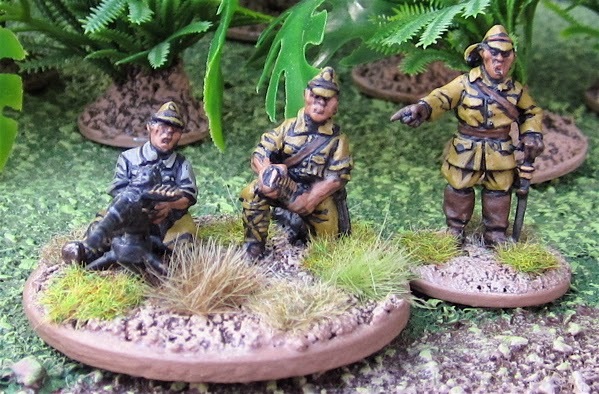 I have some more German SS infantry on the workbench at the moment… so seems I’m going to be finishing them up next… Then perhaps the Fallshirmjägers…? Maybe at some point I should throw some of these on the table and play a game or two!? 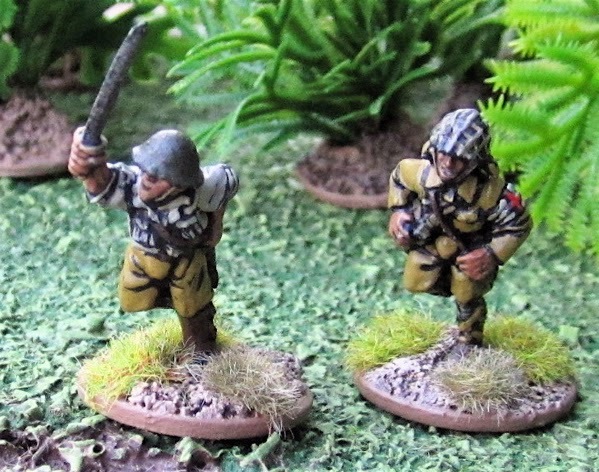 Last of the French – to finish up my Early War French Infantry Platoon – all figures are from Bolt Action Miniatures/Warlord Games. 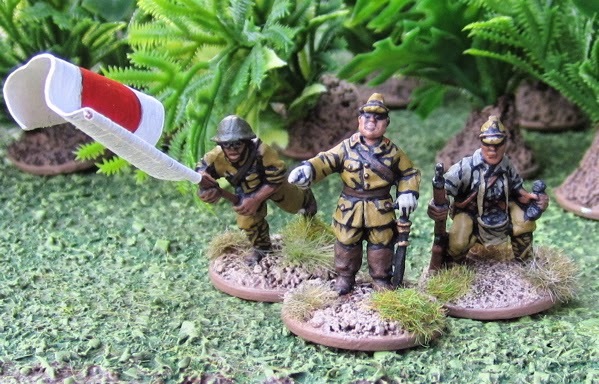 A few more Japanese - that didn’t make it into the post about my complete Imperial Japanese Army for Bolt Action post (because they hadn’t quite arrived yet). 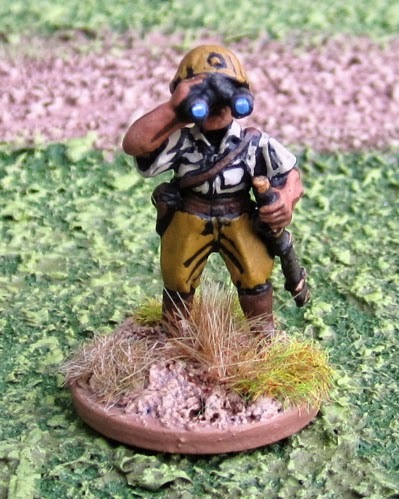 This gives me a spare officer for… whatever… (Perhaps I could call him a Kempeitai Political Officer..?). 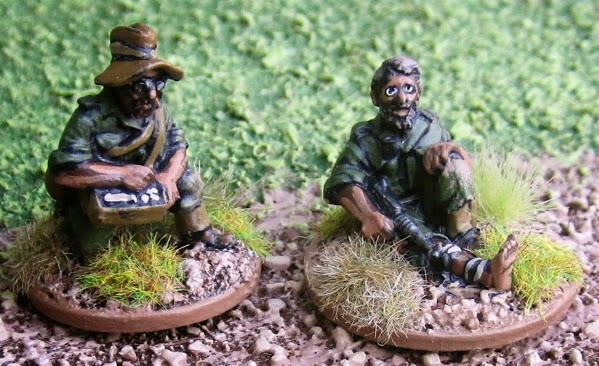 The LMG team makes it so I can field three later war mixed sections for both of the platoons. 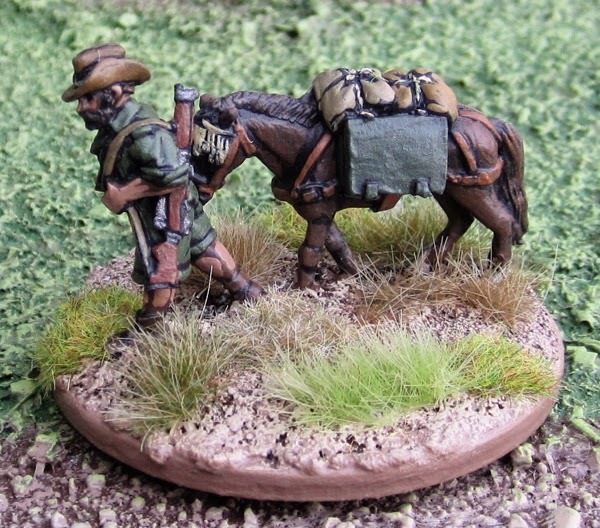 Figures are also from Bolt Action Miniatures/Warlord Games. 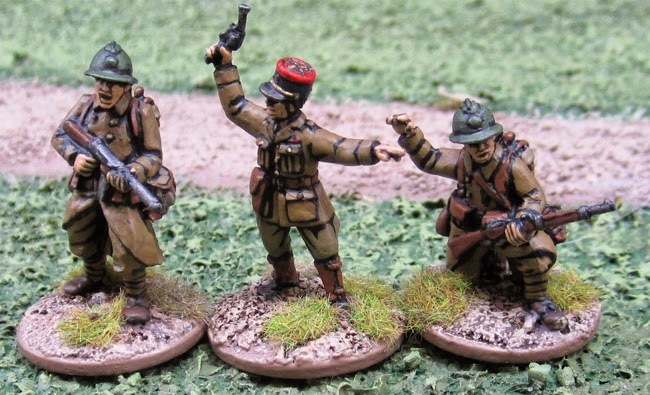 French Infantry Platoon for Bolt Action! 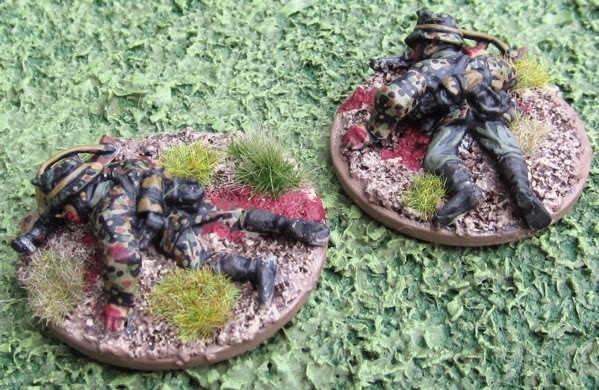 No real rules for these… I suppose I could us it as an objective marker of some sort or add it to the Medic’s team…? 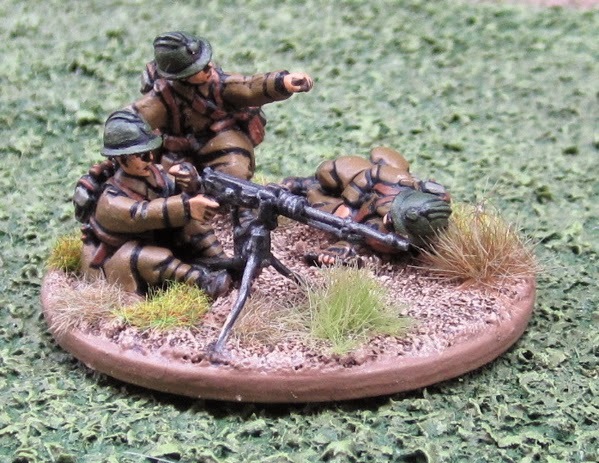 Some Bolt Action figures are available singly and I had hoped to place a small order and pick up a third Bren-gunner (and some others) to fill out the sections. 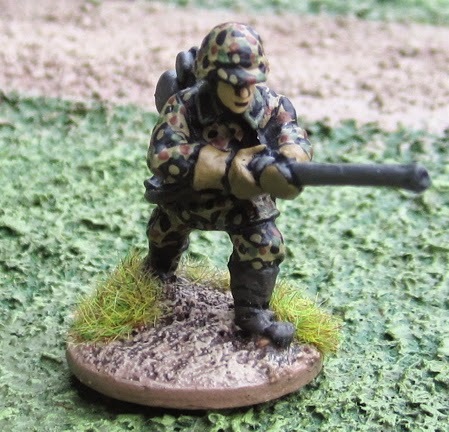 Unfortunately the Bren-gunner doesn’t seem to be available anymore – as a single figure – so this is it for now. An assortment of items I’ve finished up in the last week or so (since finishing up the Japanese). 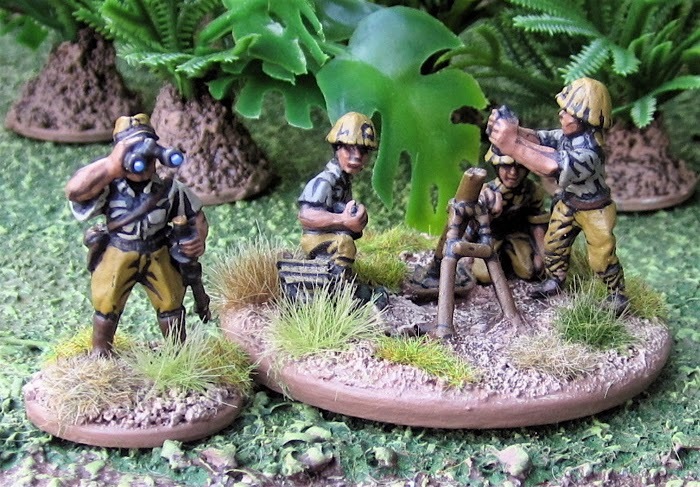 As the Chindits are now complete (or as complete as they’re going to be for some time!) 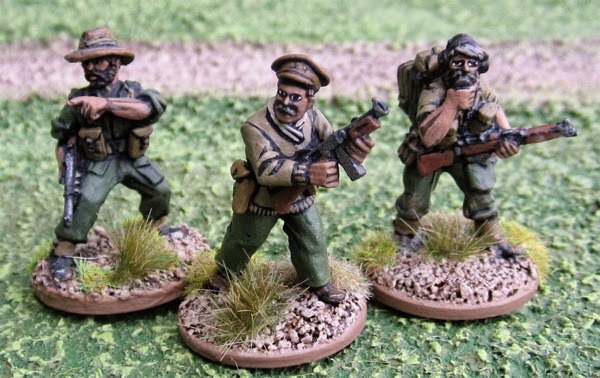 I’ll likely do a breakdown of how they could be organized for Bolt Action as I’ve done with the the Japanese, British/Canadian Paratroopers, and British Commandos. Hopefully after that I’ll finish up the final section of French to complete that force! Germany – Gebirgsjäger – 15/0/0 – 0/0/0 – DONE!! Germany – Kriegsmarine - 16/0/0 – 0/0/0 – DONE!! Italy – Europe 10/0/0 – 0/0/0 – DONE (sort of...)! Soviet Union – 294/4/11 – 0/0/0 – DONE!!! 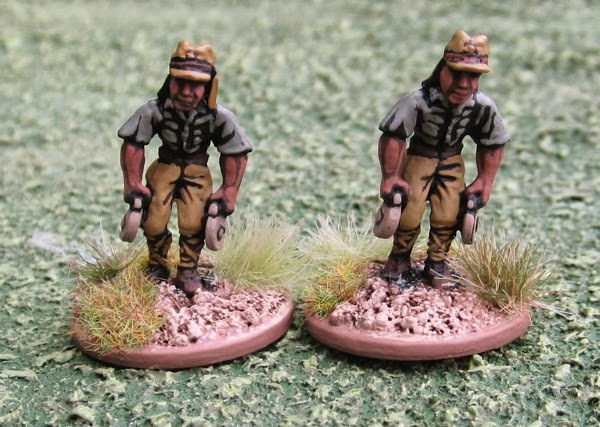 Great Britain – SAS/LRDG - 30/0/0 – 0/0/0 – DONE (sort of...)! 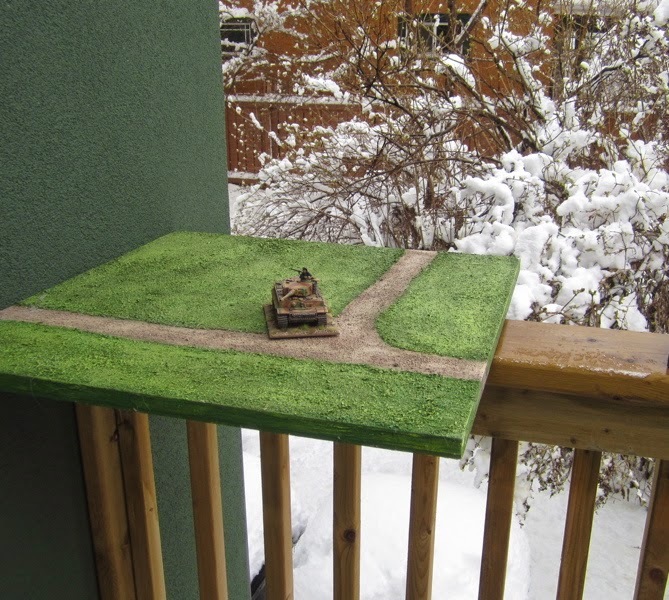 Canada – Paratroopers – 96/0/0 – 0/0/0 – DONE! 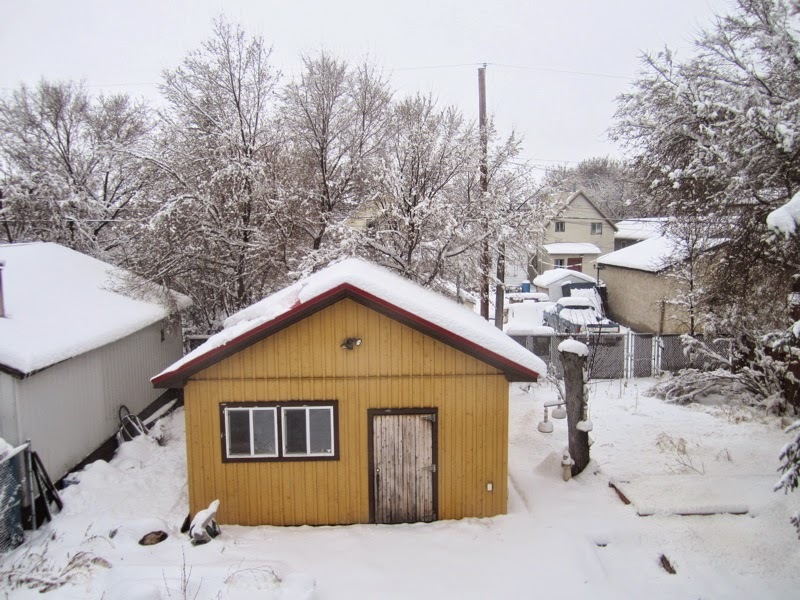 Canada/USA – FSSF – 26/0/0 – 0/0/0 – DONE (sort of...)! France – FFL – 31/0/0 – 0/0/0 – DONE! Well… over half done at least… but not QUITE as close to being done as I had perhaps hoped… especially considering that a few of the forces are not even close to being usable forces even if I did finish painting all the stuff that I currently have. Well the plan (for now) remains the same: finish them off. I have placed a few orders to help finish up a few things (in the sense of “finish up making a complete, useable force”). 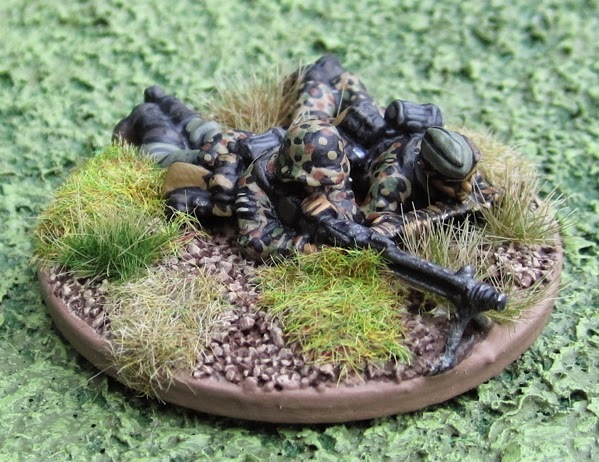 For most the plan is to field something like a reinforced platoon (or, in some cases, platoonS – or even a company!) 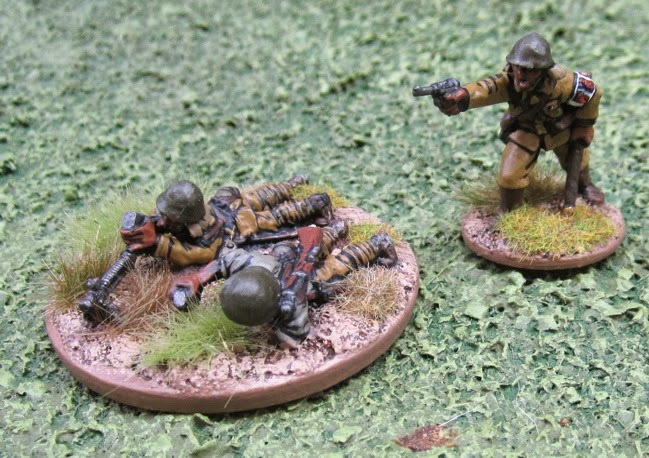 – the scale of force most commonly used in Bolt Action. 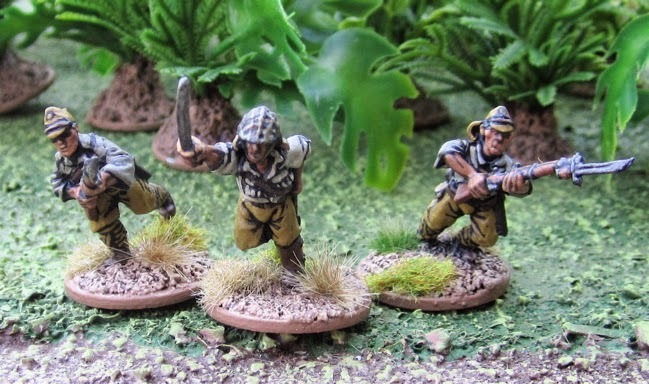 Some forces won’t be useable in that scale of action, and I have no intention to make them so – I just have them for potentially using in Role-Playing/Pulp Adventure type games. The question is: Do I have that long of an attention span anymore…? 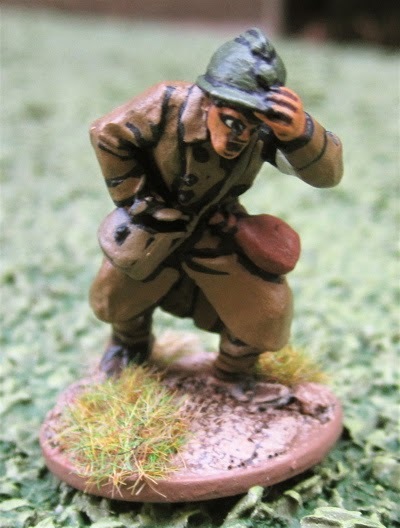 Because I ended up with a fair few Japanese (this comes of buying things that are on sale with no real plan…) – a bit too much for a single platoon… but not enough for a full company… and far too many officers… I’ve more or less tried to organize my force as an under-strength Company. Probably later in the war, seen lots of action and not nearly enough reinforcements to cover the losses due to combat or disease. I suppose if they’ve seen a lot of action I could have made them veterans, but I figured I’d go with regulars imagining those that have seen a lot of action, have also seen a lot of hardship and it’s been telling – also the influx of not-so-experienced replacements (though not nearly enough to keep things up to their authorized strength) would also lower the overall effectiveness of the squads. 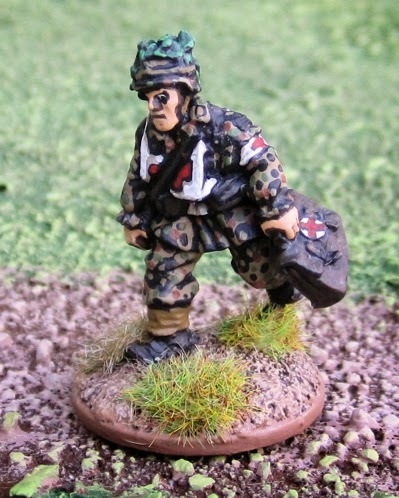 I seem to have lots of extra Officers… rather than making ANOTHER platoon to make use of them I decided to use them… elsewhere… so here is a battalion medical officer with his family’s sword – ready to use if for expedient battlefield amputations! 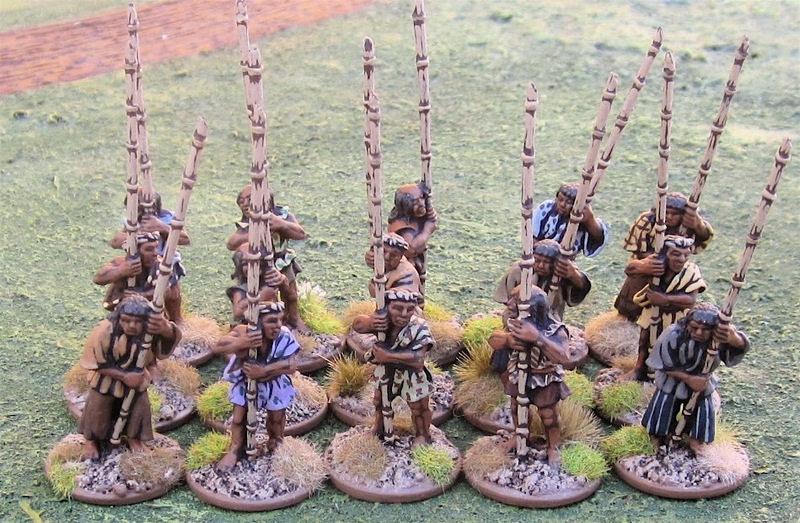 (15 Inexperienced Infantry with Bamboo Spears) +75 points. Yes they're samurai-era peasants from my Ronin Peasant Buntai, but really, how much would the dress of the average rural Japanese peasant have changed from the Sengoku period...? 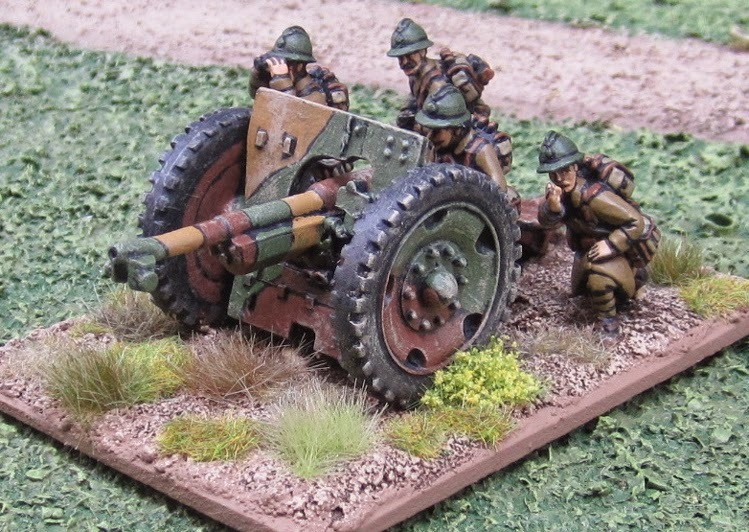 Light Artillery – I also wouldn’t mind picking up either a Type 92 70mm Infantry Gun or a Type 41 75mm Mountain Gun (does anyone even make such a thing?!) 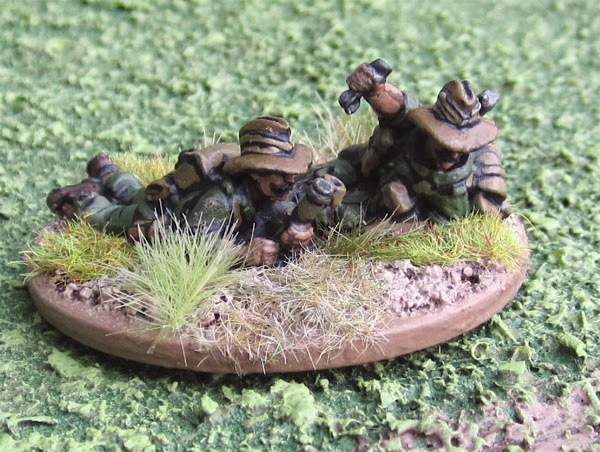 for some organic light support from the Battalion Gun Platoon.